Bob Marley is an international and cultural icon. One love. His music and attitude touched the hearts of so many people. 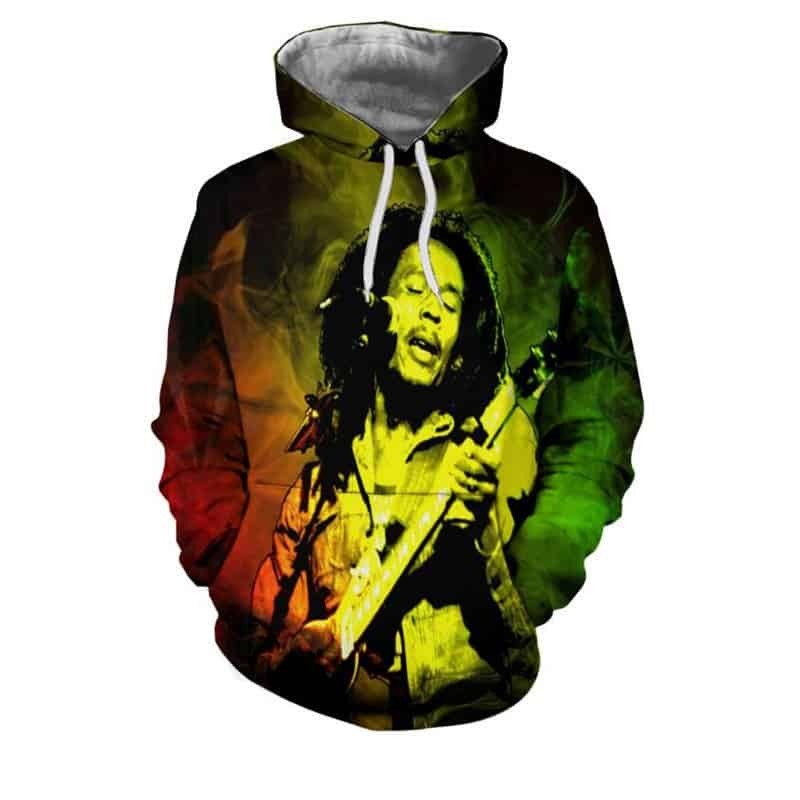 This Bob Marley Hoodie is a tribute to him and his fans. 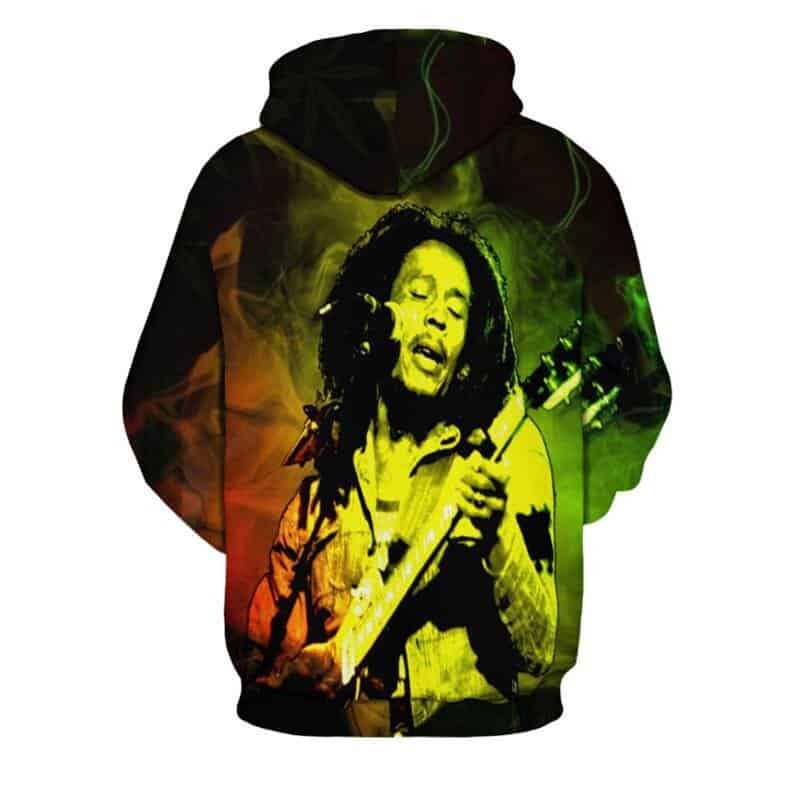 The print is of him with a rasta color backdrop. The hoodie is comfortable to wear, looks fashionable and is wearable anywhere. It was designed for both male and female. Tag your photos with #bobmarley on Instagram.